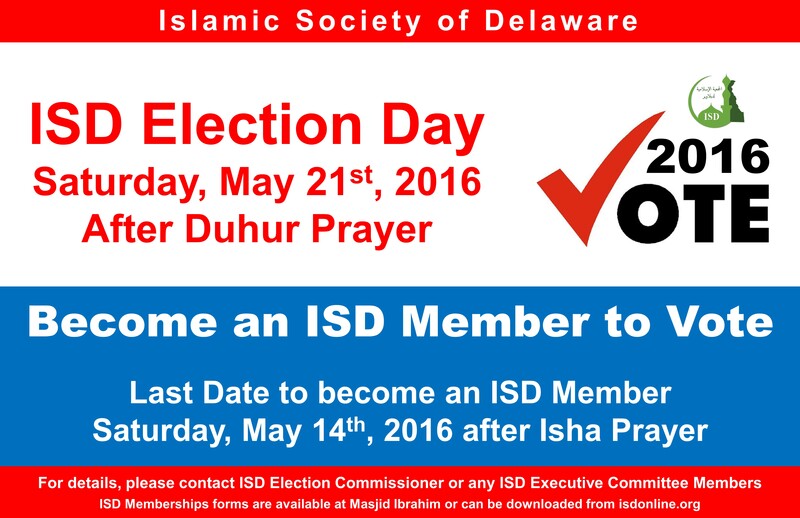 Islamic Society of Delaware will be holding its General Assembly Meeting and Annual Board Elections for 2016-2017 on Saturday May 21st after Duhur Prayer at Masjid Ibrahim. Deadline for Membership or to Nominate someone for the Elections has been extended to Wednesday May 18 at 10:00 PM. You need to be a member to Vote in the Elections. 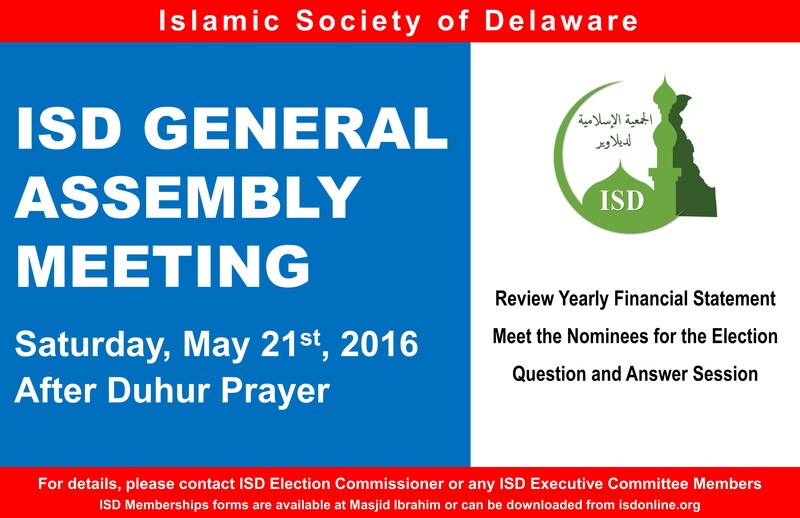 Islamic Society of Delaware will be holding its General Assembly Meeting and Annual Board Elections for 2016-2017 on Saturday May 21st after Duhur Prayer at Masjid Ibrahim. 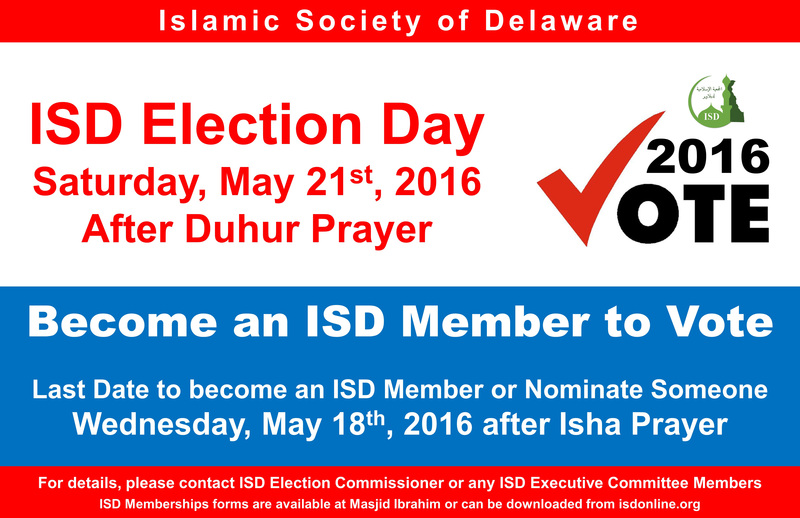 Deadline for Membership or to Nominate someone for the Elections is Saturday May 14 at 10:00 PM. You need to be a member to Vote in the Elections. It is with the great sorrow we announce that our beloved community member and past president of ISD, Br. Jamil Tourk has passed away. 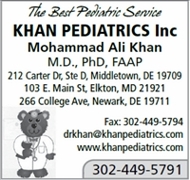 We extend our condolence to Tourk family and the Muslim community of Delaware. May Allah (SWT) grant him Maghfirah and the highest status in Jannatul-Firdouse. May Almighty give his family the strength to bear this irreplaceable loss. Please remember Br. Jamil and his family in your prayers. ISD Sympathy Committee has made arrangements with the McCrary Funeral Home and Silver Brooks Cemetery for Br Jamil's funeral on Tuesday May 10. Body washing (Ghusul) will be performed at McCrary Funeral Home Tuesday morning, followed by Janaza prayer at Masjid Ibrahim after Dhuhr Prayers. His burial will take place at Silver Brooks Cemetery. 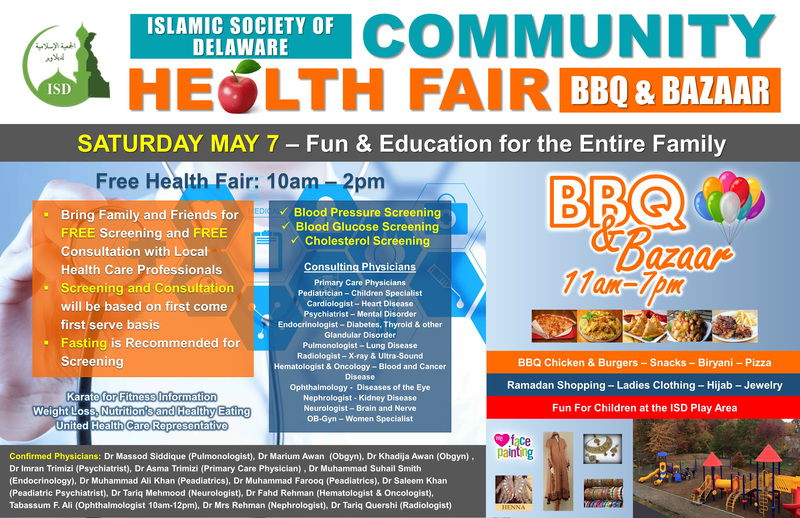 Islamic Society of Delaware would like to invite the community to a Free Community Health and Wellness Fair on Saturday May 7 from 10:00 am to 2:00 pm. Get an early start on your Ramadan and Eid shopping at ISD Bazaar. Many local vendors will be selling a variety of traditional Pakistani dresses, Hijabs, Abaya, Jewelry and much more. Fresh BBQ and other ethnic dishes and snacks will be available for purchase. Kids can enjoy a day of fun and games at the ISD Play area while you shop. Please bring your family and friends to enjoy a wonderful day with your community. Many Doctors and health professionals, with support staff and equipment from their offices, will offer free health service to our community members. If you don’t have health insurance, this is a good opportunity to meet the health professional from our community, check your blood pressure, get screened for diabetes or Cholesterol, or even get free tips to stay healthy. If you have a doctor you can still consult to see if you are using the best medications available or if there are better ones you can use. For the community youth, if you are interesting in a career in health and medical fields you can also get the information you need from these health professionals. Following community Physicians will be available for consultation. Officer Friendly Program is presented to children by a uniformed New Castle County Officer with a marked police vehicle. 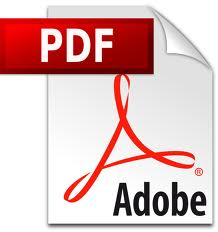 Topics such as how to identify a police officer, the duties of a police officer, and a safety talk are covered. This program is designed to present a uniformed police officer in a setting that is not intimidating for the child. If a child ever needs the assistance of the police, he/she should not be afraid to ask. This program is part of a series of events conducted jointly between the county police and the Muslim Community of the Islamic Society of Delaware. 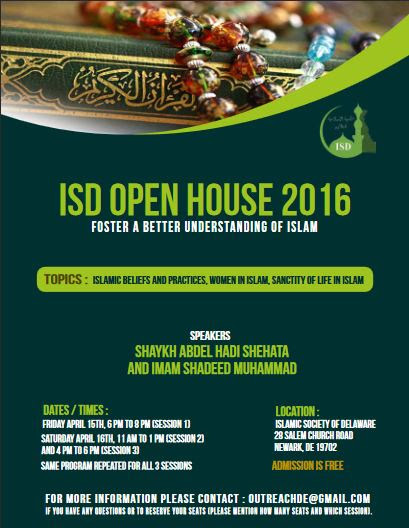 ISD is hosting an Open House event, featuring speakers Sheikh Abdel Hadi Shehata and Imam Shadeed Muhammad to foster a better understanding of Islam among non-Muslims in our community. Refreshments will be served. Admission is free.